Free Gift! Get Back in the Game! Are you Newly DIVORCED? Suddenly SINGLE again? “GET BACK in the GAME of LOVE! The Secrets to Opening Your Heart & Finding True Love. You’ll get inspired and uplifted as you re-enter the Dating Game! Get the FREE RECORDING of a call that you’re sure to love! ** How To Open your Heart to Love again! ** To Take Charge of your Love and Financial Life! 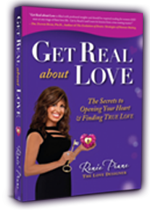 Renee Piane, The Love Designer, is an internationally recognized relationship reinvention expert, and matchmaker for love and business. As President of Rapid Dating and a pioneer in the dating industry, she is a widely acclaimed and sought-after inspirational speaker,TV celebrity, radio host, and author of Love Mechanics and Get Real about Love – The Secrets to Opening Your Heart & Finding True Love. The Wealth Creator Company is dedicated to coaching and educating divorced and widowed women as they strive to establish their own financial well-being while moving towards and ultimately reaching financial independence. Neil is dedicated to empowering women as is shown by his involvement in many community and business organizations such as the National Association of Women Business Owners in Ventura County, Women’s Economic Ventures and the International Women’s Festivals Santa Barbara. 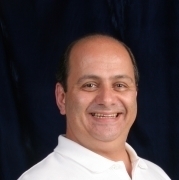 He has also started several groups such as the Women’s Money Forums™ and the Divorce Transition Professionals™. Neil has been married to Stacie since 1987, has three beautiful children and lives and works in Westlake Village, California. 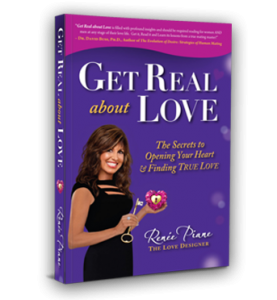 Check out Renee’s New Book to help you Get Back in the Game of Love! I have many cool book signing events coming up all over the city. If you have a group that might want me to join you for a book club or event let me know. I’m scheduling more events this week! Want a one-on-one session with Renée?